SUHD TV and expansive range of audio products open a new era of immersive viewing and sound. 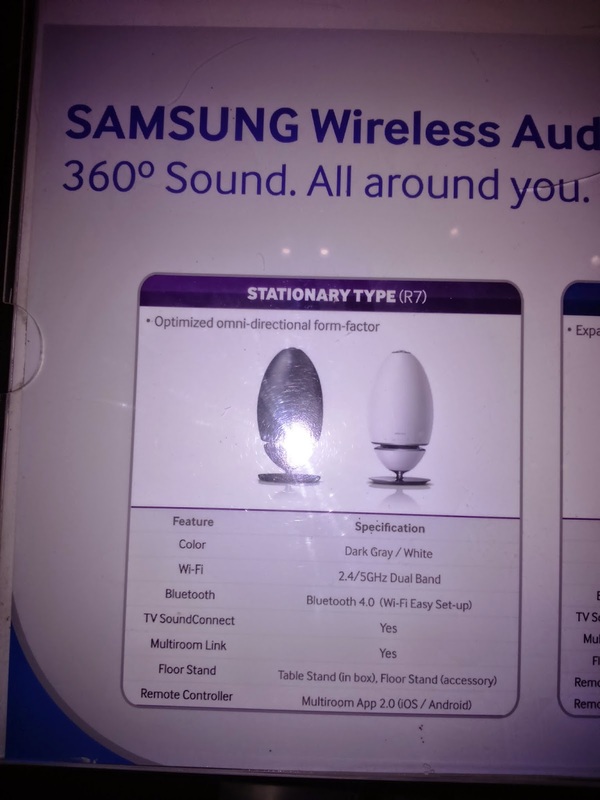 "We are proud to introduce a new advancement in our line of products - Samsung continues to be the leader in providing picture quality to push the boundaries of home entertainment experience." said Raul Macatangay, AV Product Marketing Head. "We will never stop our commitment to consistently giving superior home entertainment experience. Samsung reserves the "S" identification for the most premium, flagship product that signifies a true leap forward in technology. As the leader in the TV industry, Samsung is excited to extend the prestigious "S" identification to its newest TV line, the SUHD TV is design to excite all of the senses, with sn.ensational picture quality, seamless interaction, and stylish design. 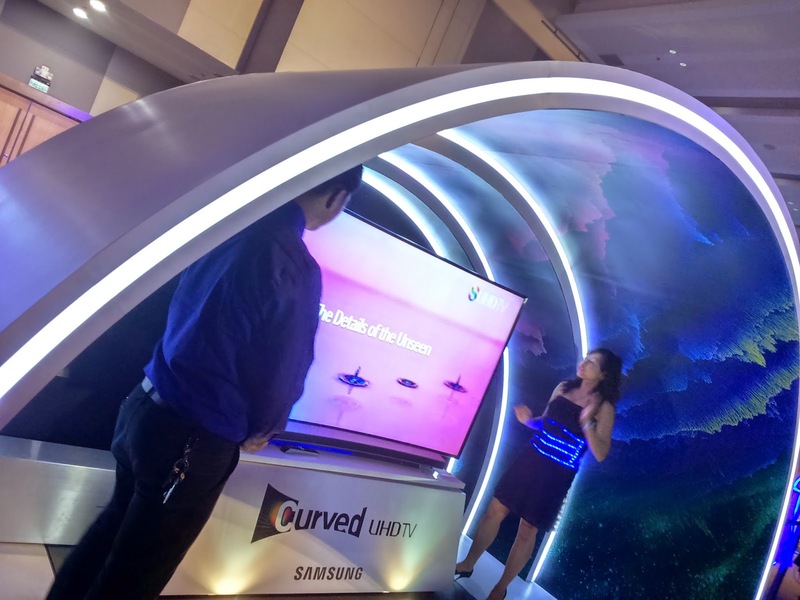 Samsung SUHD TVs demonstrate groundbreaking advances in contracts, brightness, color reproduction and detail to deliver a superior picture quality experience. They utilized proprietary, eco-friendly nano-crystal technology and include an intelligent SUHD re-mastering picture quality engine. The SUHD TV's nano-crystal technology transmits different colors of light depending on their size to product the highest color purity and light efficiency available today, which produces a wide range of more accurate colors, providing the viewers with 64-times more color expression than conventional TVs. IT automatically analyzes the brightness of images to minimize additional power consumption, while also producing ultimate contrasts levels, showcasing images with much darker blacks and an elevated og brightness that's more than 2.5 meters brighter than conventional UHD TVs. 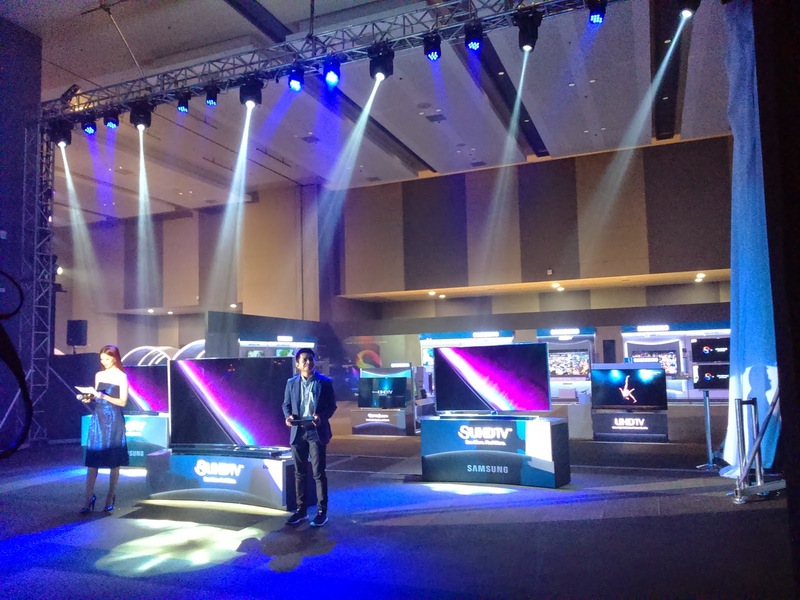 Samsung is working with leaders in the industry to promote secure and steady growth of a comprehensive UHD ecosystem. In order to establish premium UHD quality standards, Samsung has announced the UHD alliance - a coalition of companies united to set the bar for next-generation video entertainment that will implement new standards supporting innovation in video technologies including 4K and higher resolution, high dynamic range, wide color gamut and immersive 3D audio. Samsung SUHD TV's use environment-friendly to deliver best -in-class energy efficiency and reliability. 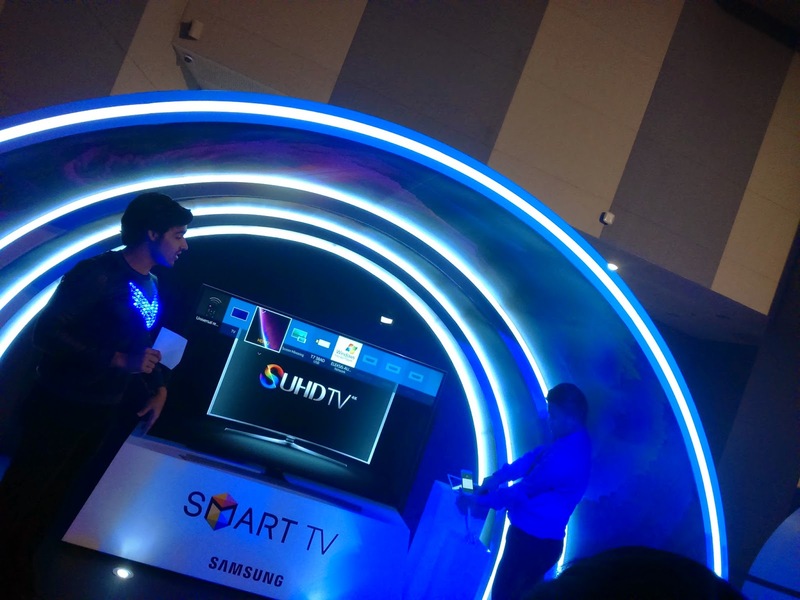 Moreover, Samsung will offer three series of SUHD TVs - JS9500, JS9000, and JS8500 - from 55 to 88 inches, so consumers have the flexibility to purchase perfect TV that first their style and taste. The newly announced Samsung SUHD TV J9500 features a chamfer bezel design, adding more depth to the TV screen, and the elegant frame makes the display look like a piece of art mounted on the wall. The SUHD TV JS9000 also has a soft, textured shirring design on the rear of the display giving TV a premium look and stylish edge when viewed from any angle. 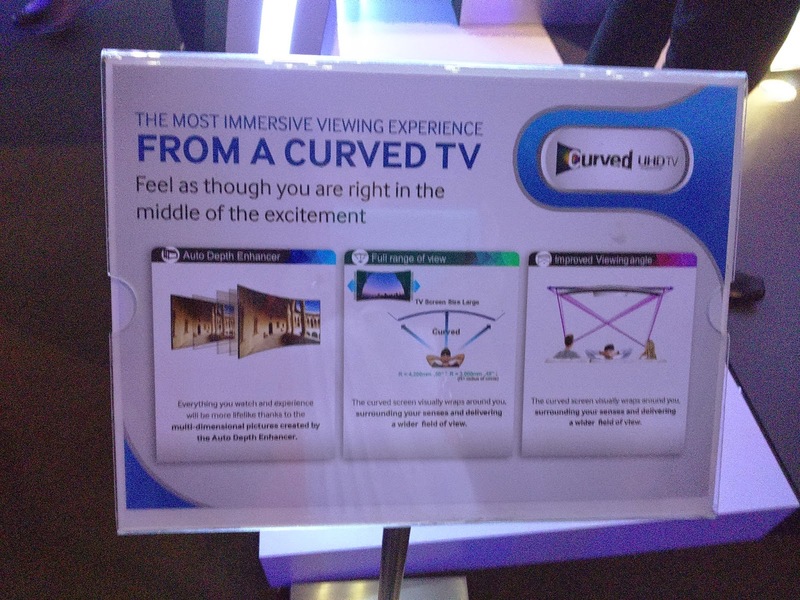 With the increase on consumer demand for curved TVs, Samsung will continue to add new models to its product portfolio to complement every unique viewing environment. 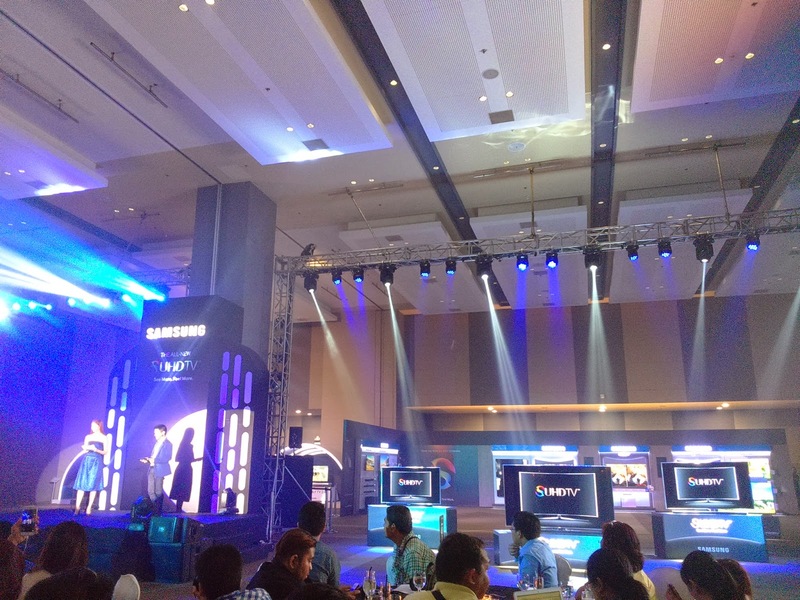 Samsung Introduces Features for the Philippines. 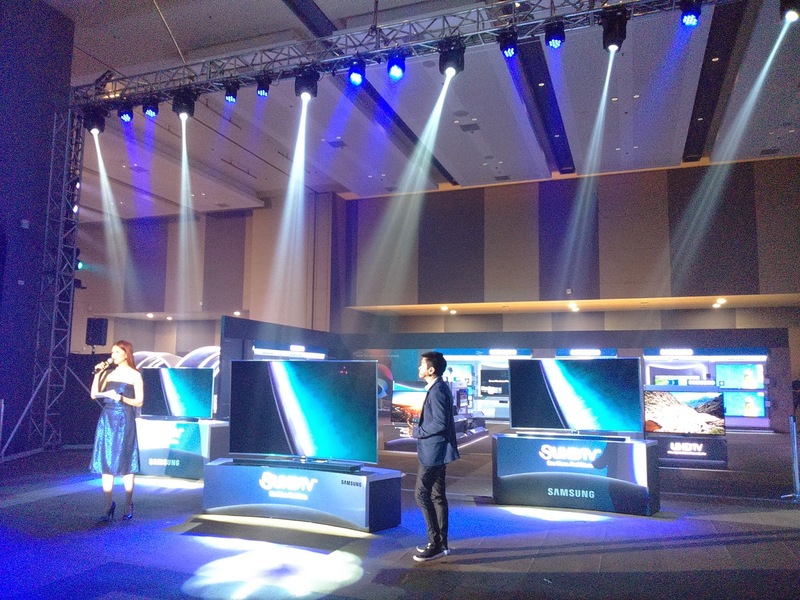 To meet the needs of consumers in the Philippines, Samsung is introducing a number of features tailored to match unique lifestyle of users in the region through Samsung Seasons. It allows customers to enjoy handpicked selection of popular international TV show, wherein users can watch the first episode free, and rent the full season of a show for 30 days to enjoy on TV, or on a Samsung tablet of phone. 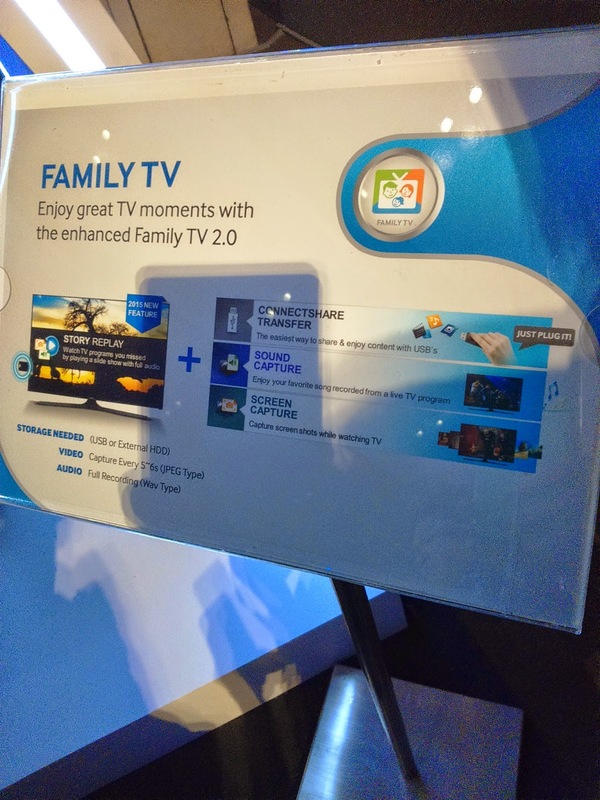 Customers will also be able to enjoy Family TV 2.0, which further enhances the overall viewing experience. 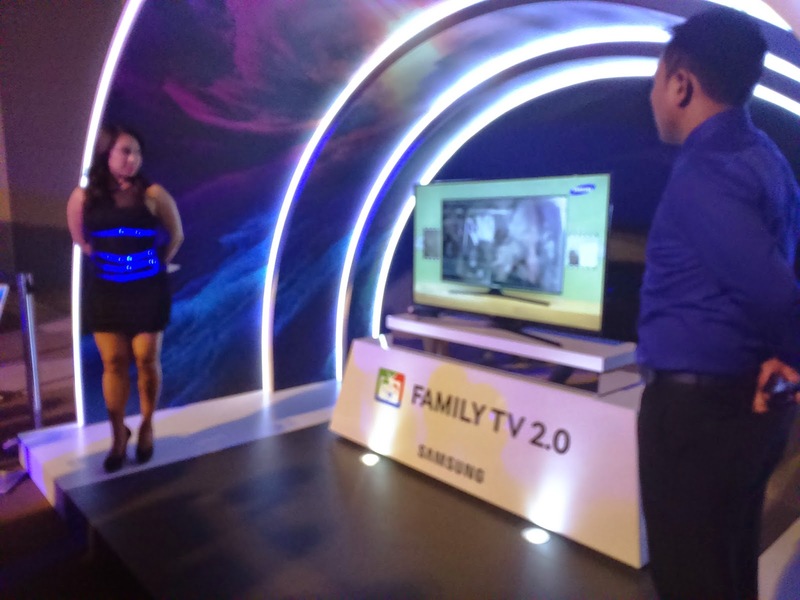 Maintaining the features of last year's popular family TV features, Family TV 2.0 allows customers to save and send photos and sounds bites of their favorite TV moments. The feature now has a Story Replay, which can record sill photos with the audio of TV programs. Customers can enjoy Sports mode, which allows quick access to sport matches on Samsung Smart TVs. Sports Mode is designed specifically for the thrilling basketball or boxing experience. Three points and punches will be highlighted, and users will be able to playback top moments from the game so they can relieve the action. Developed in Samsung's new state-of-the-art Audio Lab in California, the WAM 7500/6500 speakers are designed with style and elegance to harmonize any home interior. 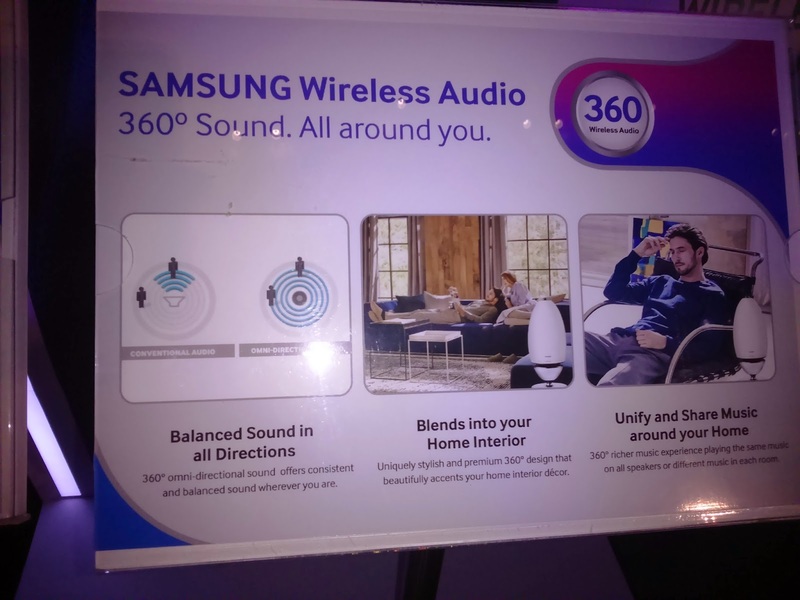 Samsung incorporated its proprietary ring radio technology which allows sound to flow in 360 degrees radius that provides rich-bodied sound, unlike conventional speakers that project sound in a single direction. the WAM7500/6500 also features a simple and hassle-free setup with plug-and-play installation - users simply connect the speakers to a router and plug the unit in. Samsung is introducing the Curved Soundbar that features a sleek and clean design. 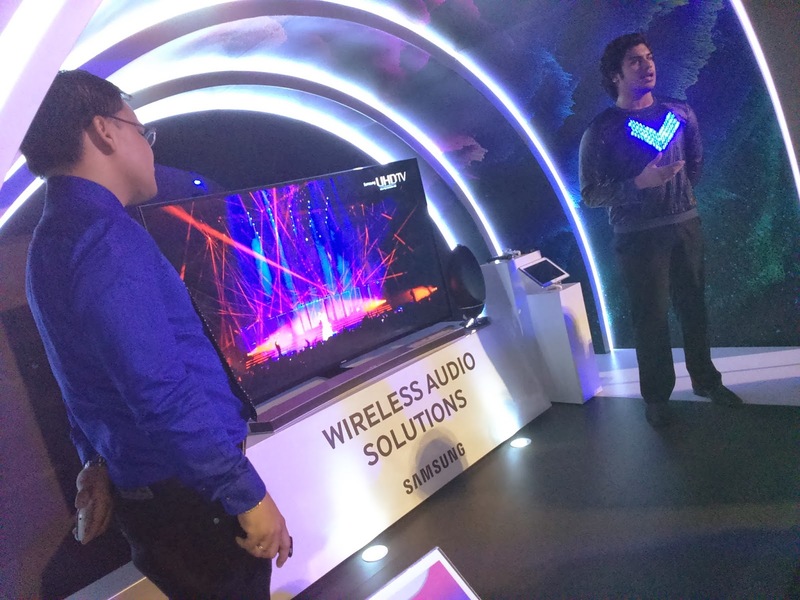 It complements Samsung Curved TVs from 48 inches to 78 inches, providing a premium audio solution. The newly introduced 8500 series also offers enhanced sound quality with 9.1 channel audio, featuring a central speaker and side speakers on each end - added to further intensify the immersive experience by delivering a more equalized surround sound experience. With its patented Multi-Air gap speaker unit at its subwoofer, the Soundbar will feature deeper bass than conventional audio offerings. 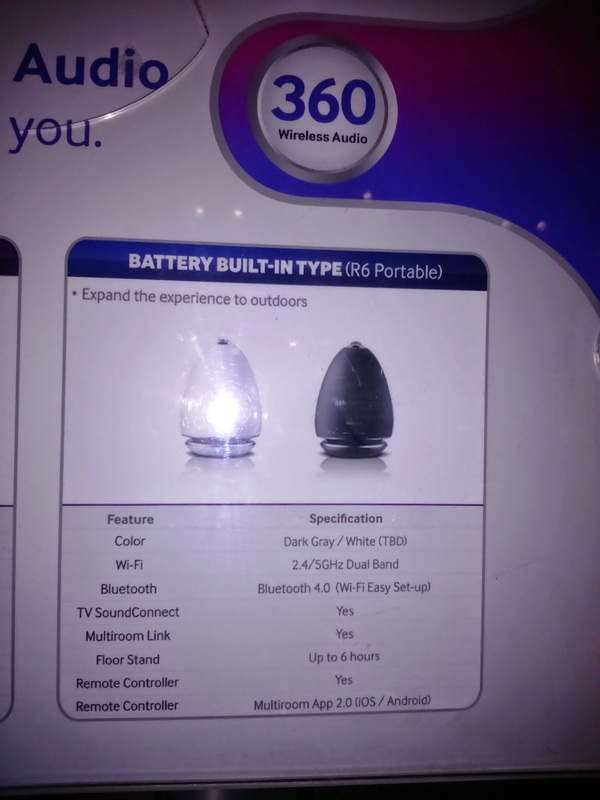 It allows users to stream music through its multiroom functionality and has wireless connection to the TV through TV SundConnect via Bluetooth. Samsung, a leader in innovation, brings you the right to own a premium and unmatched picture quality that is perfectly stylish with its sophisticated and improved curved design and has put its efforts high in bringing you a new era in premium sound. 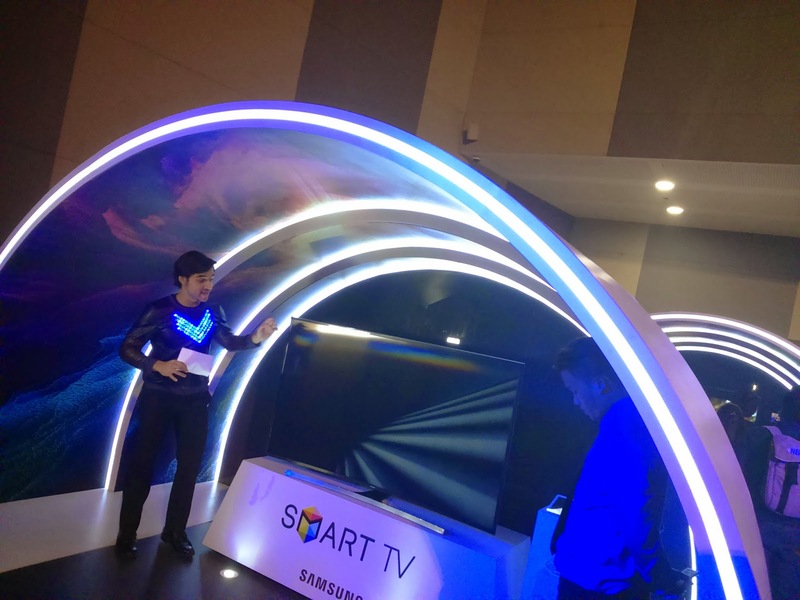 The Samsung TV and audio visual solutions surely uphold their leadership by truly redefining picture quality with superior brightness and the surely widest color spectrum available.